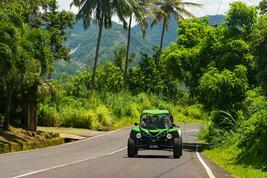 St. Lucia offers an amazingly rich destination experience for visitors, with a variety of things to do. St. Lucia is a member of the British Commonwealth; however, the island has a rooted French history that dates back to the early 17th century. The French spent 150 years on the beautiful island of St. Luce, battling the English to own her. 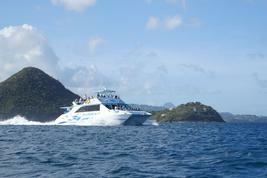 Over the years, St. Lucia changed hands over 15 times until it was finally won by the British in 1814. Although owned by the British, French influence is very much a part of the island today, evident in the French-infused dialect, Kwéyòl, as well as the French locales Soufriére, Anse La Raye and Gros Islet. 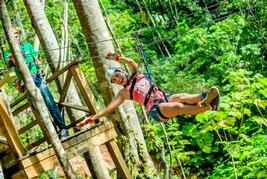 St. Lucia is Simply Beautiful because of her lush vegetation-embark on tours and excursions to explore a combination of high mountain ranges that run through the middle of the island, tropical forests, and low-lying beaches that truly make this island a natural paradise. Home to one of the Caribbean's most famous landmarks, with its two towering volcanic cones, Gross Piton and Petit Piton, (referred to as the pitons) are a must-see. Enjoy excursions to St. Lucia's volcanic origins and explore a drive-in volcano or take a dip in the therapeutic Hot Sulpher Springs. 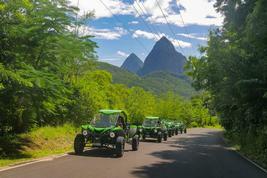 Experience breathtaking St. Lucia tours and explore this simply beautiful island paradise for a truly amazing adventure.